Lush is a brand I've only become a fan of in recent months. In the past, I just didn't get the hype. I used to walk into the shop and be so overwhelmed by all the different bombs, bars and creams that I'd often have a browse for a couple of minutes then leave, often feeling a bit lightheaded from the overpowering scent of the store. However, in more recent months, I've become a big fan! 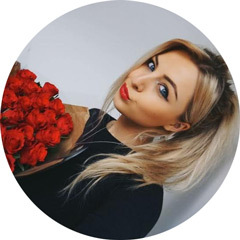 The obsession began when I was very kindly sent one of their bath bombs from Ernest & Jones jewellers - it was a beautiful heart shapes bath bomb with little rose petals hidden inside it. After using it in my bath and loving the effect it gave the water, as well as the scent, I was hooked. Since then I've bought countless friends / relatives Lush gift sets for their birthdays and I just love how cute they are - they're so affordable and come wrapped beautifully. With this being said, you can imagine how much I'm loving Lush and all their Christmas gift sets at the moment. They always pull out all the stops at this time of year and I can see why people go so mad for them - they're great value for money and make the perfect pampering treat for anyone whether its your mum, sister, friend or nan! If you have any last minute Christmas gifts to buy for the lady in your life or for a secret santa at work - one of these would be a fab choice! I've got their 'Secret Santa' gift set to share with you all today, as we as their limited edition Christmas lip scrub, 'Santa's Lip Scrub'. Both of them are super cute and very affordable so if you want to buy someone an extra treat or don't have much money to spend, these are a great option. The Secret Santa gift set* comes wrapped in fun green paper with a picture of Santa and the words 'Secret Santa' wrote on the side. Inside it contains a Father Christmas bath bomb which has the famous sweet 'Snow Fairy' scent and turns your bath from red to green and a 'Honey I Washed The Kids' soap which is another cult Lush product due to its sweet honey scent - it smells good enough to eat! I've been using it as a hand soap in my bathroom and I love it! For only £9.95, this is the perfect little gift. The Lush lip scrubs are a big hit and I often hear people raving about how great they are. Its no surprise really - who doesn't want to scrub their lips with sugary goodness that tastes great? 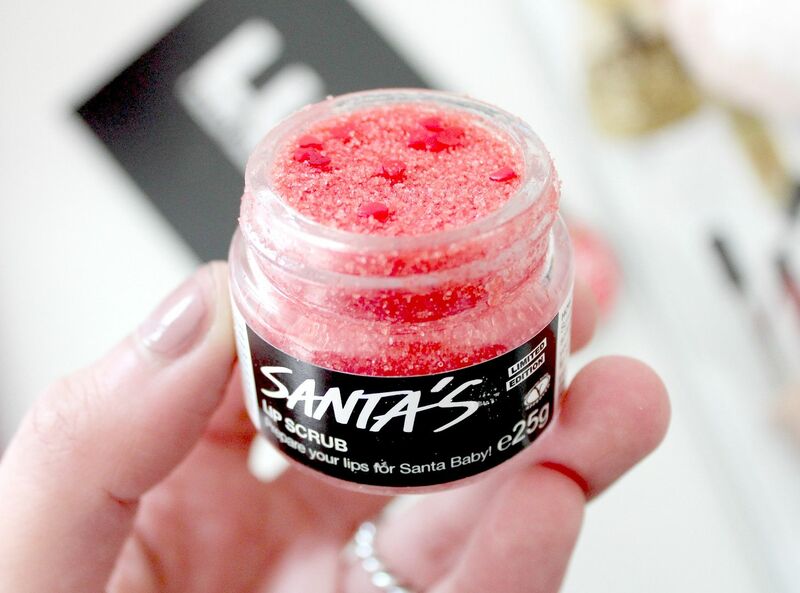 Santa's Lip Scrub* is absolutely lovely - its has a yummy cola scent / flavour and the packaging and scrub itself are both red making it very fitting for this time of year. It contains lots of natural ingredients including caster sugar, extract of cherries and dates and extra virgin coconut oil. This means you can actually apply it to your lips and then lick off the excess without the need to worry about any nasty chemicals. Baby soft lips and a sugary treat - its a win win I say! For only £5.50, this would make the perfect Christmas stocking filler! Are you hoping to find one of the Lush gift sets under your Christmas tree? Thanks. I recently put a lip scrub from Skin Food brand on my amazon wish list. The winter is really making my lips chappy. I had been just using my tooth brush to brush and now I need a scrubber. I've started to love LUSH more recently as well. They just have a great range of quality, natural products. Woo! Lush gift sets are always so good! I've been into Lush stores so many times but have not bought anything yet. But that lip scrub looks really worth trying! I love Lush! That lip scrub looks great. I love the lip scrubs so much, my favourite is bubblegum! 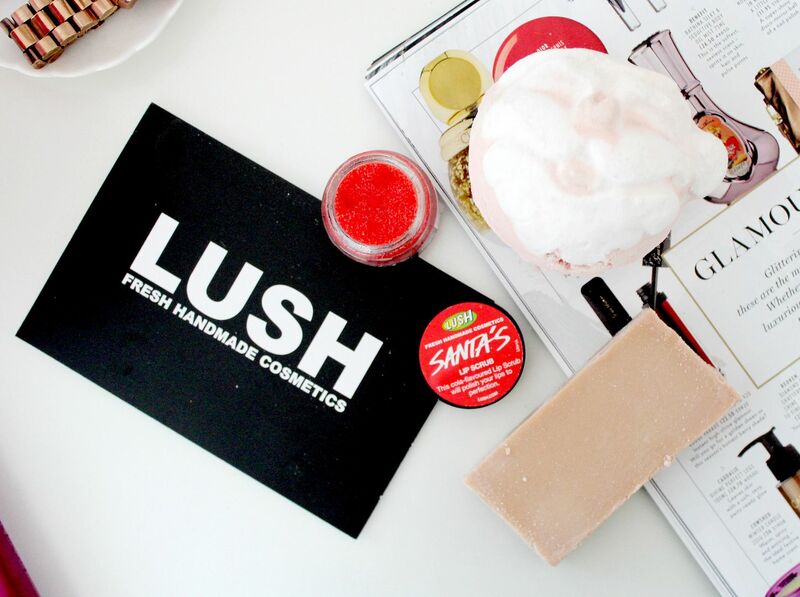 For some reason no other lip scrubs compare to Lush ones! That is such a great budget friendly gift so impressed! The scrub sounds amazing and I love that it's cola flavoured! I've recently fallen in love with lush too :) I really love that lip scrub and I'm obsessed with the candy mountain bubble bar! 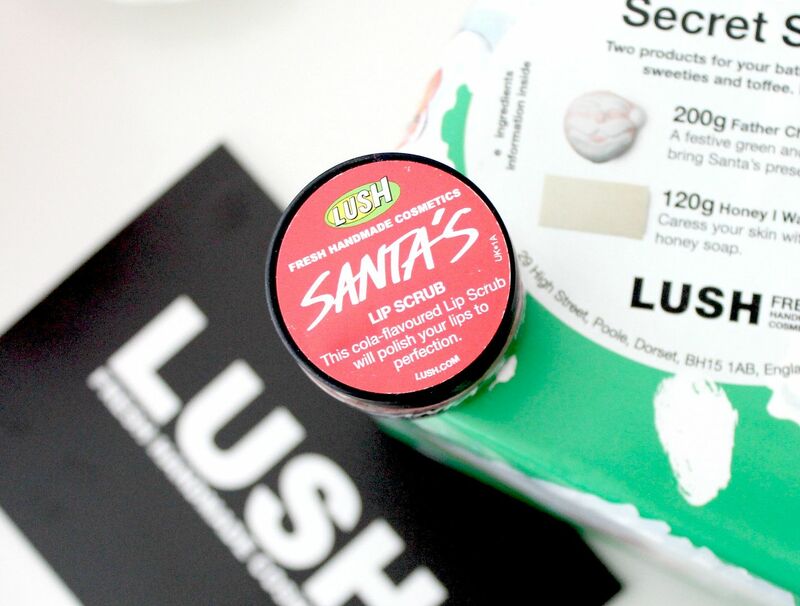 I'd love to try the Santa's Lip Scrub! Sounds lovely! I was the same, the smell is always so over powering in store but when you get individuals, they're so nice! I got myself the mint choc lip scrub and two friends different gift sets! I love the Santa scrub, I remember getting it last year and then when I ran out I was SO bummed, haha! Nothing under the tree from LUSH this year, I love partaking in their after-Christmas sale though where everything is buy one get one free, what a steal!! !